The International Seafood Sustainability Foundation (ISSF) has developed a new data-visualization tool based on its long-running and widely followed Status of the Stocks report. The “Status of the Stocks Tool” is located on the ISSF website and accessible through the Status of the Stocks overview page; users can easily toggle through tuna stock health indicators and filter by location, species and other key stock health and catch factors. The tool, which requires no additional applications or access to use, offers fisheries managers, fishers, RFMOs, scientists, and other stakeholders a convenient and intuitive resource for visualizing the state of tuna stocks worldwide, covering 23 tuna stocks — including ones that have been or are overfished, as well as those at healthy levels. Offering the most current data available, it also pulls information from previous years of ISSF Status of the Stocks reports, which compile key stock health and catch data from the Regional Fisheries Management Organizations (RFMOs). For example, the number of stocks well-managed in terms of fishing mortality has increased from 8 (35%) in 2012 to 15 (65%) in 2018, demonstrating the improvement of management measures put in place by the RFMOs. 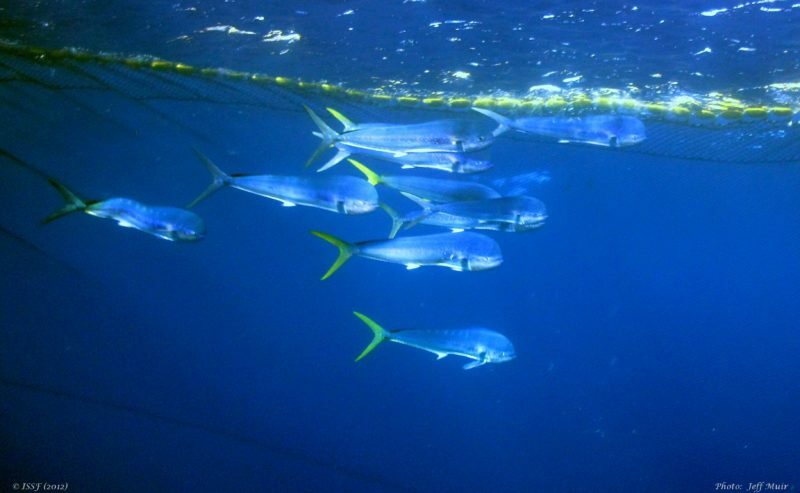 Improved management measures lead to stock rebuilding, as in the case of bluefin tuna stocks, where 100% of the catch came from overfished stocks in 2013, versus just 26.5% of the catch in 2018. The tool can also be used to monitor those stocks for which management has been effective and, therefore, resulted in maintained healthy levels of abundance over time (e.g., skipjack stocks). The tool was developed by ISSF’s science and communications teams and was reviewed by the scientists on the ISSF Scientific Advisory Committee. The tool, built using Tableau technology, features two tabs — one for visualizing tuna stock health trends since 2011, and another for visualizing the recent tuna catch by fishing method. Users can generate a variety of customized and exportable graphics within the tool based on the parameters they choose in the checkboxes (such as “ocean location”) or buttons. By hovering or clicking on the graphics, users can see percentages and other details. On the Stock Health tab, data can be filtered first by tuna species and ocean region. The user can choose between visualizing data relative to total catch or to number of stocks, and between ratings on stock abundance or on fishing mortality. As a result, the corresponding area graph is generated. Like the Status of the Stocks reports, the tool uses a color rating system: green (“healthy”), yellow (“intermediate”), and orange (“needs improvement”). The Catch tab currently features data from 2016, the most recent year for which complete catch data are available. Gear type data can be filtered by ocean location to generate a bar chart. ISSF’s “Status of the Stocks Tool” will be updated as new iterations of the Status of the Stocks Report are released. To access the most recent Status of the Stocks report in full, click here. ISSF also produces a complementary report, the Evaluation of the Sustainability of Global Tuna Stocks Relative to Marine Stewardship Council Criteria (MSC) which provides scores for the stocks and RFMOs based on MSC assessment criteria. The MSC-certified fisheries list (Appendix 2) in Status of the Stocks complements the Evaluation report.